Central Bank Payments News (CBPN) - a Currency Research (CR) initiative - is a monthly e-publication dedicated to informing the worldwide central bank payments & market infrastructure community of the most relevant and timely payments issues impacting the central bank today. With a unique and in-depth payments focus tailored to a central bank perspective, CBPN is an independent and comprehensive source of intelligence that helps readers navigate a rapidly changing payments landscape. CBPN is proudly independent and committed to delivering reliable and unbiased news to the global central bank payments community. CBPN delivers custom content and analysis from leaders and experts in the field. CBPN spotlights a new central bank initiative each month and contains exclusive interviews with leaders in central bank payments and market infrastructure. This incisive, definitive publication is for payments stakeholders who have an interest in cyber security, regulation, blockchain, open banking, financial inclusion, and instant payments. CBPN has a global reach, including leaders and experts in the central bank payments & market infrastructure, as well as relevant operators and participants under the oversight of the central bank. CBPN is a natural extension of CR’s premier payments events – the Central Bank Payments Conference (CBPC) and the Global Payment Summits (GPS) series in Asia, Australia, and Europe. These events draw senior-level central bankers and industry stakeholders from across the globe, who comprise the core readership of CBPN. The 2018 CBPC event in Singapore attracted 145 senior representatives from 75 organizations and 50 countries, including 67 central bankers from 42 central banks. Interested in staying informed about central bank payments? Explore our 2018 trial issues. *Limited openings currently available for charter subscribers. More information on Charter benefits below. CBPN is published by Currency Research (CR), an international knowledge-based services organization dedicated to providing specialized conferences, consultancy, and research to the public and private sector in the Currency and Payments areas. CR is a widely recognized leader in creating independent exclusive industry events, including the Central Bank Payments Conference (CBPC). CBPN is led by Senior Editor, Brianna Erban, and CR’s Vice President of Payments/CBPN Executive Director, Gonzalo Santamaria. Our contributors include experienced current and former central bankers, academics, and industry experts, who are backed by CR’s knowledgeable team of researchers and our extensive global network of industry contacts. The publication is overseen by the CBPN Advisory Board, composed of distinguished senior-level current and former central bankers who provide input on specific content/topical ideas and review articles submitted prior to publication, and who advise on the growth and development of CBPN. The CBPN Advisory Board is: Chek-Tchung Foo, Head of Payments FinTech Office, Monetary Authority of Singapore; Gerry Gaetz, President and CEO, Payments Canada; Jean-Michel Godeffroy, former Director General of Payment Systems and Market Infrastructure, European Central Bank (retired); Mehdi Manaa, Deputy Director General of the Market Infrastructure and Payments Directorate, European Central Bank. Central Bank Payments News is not supported by advertising; however we are inviting a limited number of industry players to demonstrate their vested interest in global central bank payments through our Charter Subscriber Program. Thank you to our 2019 Central Bank Payments News Charter Subscriber Program members for their support and participation. INTL FCStone Inc., a publicly traded financial institution (Nasdaq: INTL), provides clients across the globe with a comprehensive range of customized financial services. A pioneer in specialized financial services, we open markets for underserved mid-market clients with insight, guidance and access. INTL FCStone Ltd Global Payments Division (GDP) provides FX cross border payments to global and regional banks, international aid and development organizations, UN agencies, government agencies, NGO’s, religious entities and multinational corporations. GPD maintains an extensive network of approximately 300 local correspondent banks worldwide, providing its customers with access to local clearing in 140 currencies across more than 175 countries. For more information, please visit: www.intlfcstone.com. For more information, please visit: www.nets.eu. Since 1989, ProgressSoft has specialized in real-time payments, delivering solutions tailored for the needs of the financial sector. The company has consolidated a prominent name in the banking industry, drawing new trends to the global market, and nurturing a diversified client base that extends to 370 banks and central banks in 24 countries. ProgressSoft delivers a Total National Payments System (TNaPS) to economies at large, which consolidates ProgressSoft’s payments, clearing, and settlement systems all in one solution. TNaPS includes Central Bank Digital Currency, Mobile Payment Switching and Clearing, Mobile Payments, Real-time Retail Payments, Real-Time Gross Settlement, Automated Clearing House, Mandate Management, Wage Protection, Electronic Bill Presentment and Payment, Electronic Funds Transfer, Electronic Check Clearing and Dispute Management, in addition to a dashboard facility. TNaPS finalizes payments instantly in Blockchain-based Central Bank Digital Currency or by settling them using e-money through the RTGS. Your organization will receive all of the benefits listed above for the annual rate of €10,000. If you are interested in demonstrating your commitment to the central bank payments and market infrastructure community through CBPN’s Charter Subscriber Program, we invite you to contact Brianna Erban at berban@currency-research.com or Gonzalo Santamaria at gsantamaria@currency-research.com. CBPN regularly monitors the landscape for the latest news, research, and developments in the central bank payments ecosystem. We address the most relevant topics currently impacting central banks and monetary authorities across the globe and will periodically focus on pertinent issues in consumer/retail/commercial payments. Instant payments are essential to payment system modernization and are fast becoming the new normal. Over 25 jurisdictions across the globe have now deployed instant payment infrastructures, with at least 11 more currently in development. CBPN explores how central banks – as catalysts, operators, and overseers of payment systems – play an active and critical role in the long-term implementation of safe, efficient, and interoperable instant payments schemes. In an increasingly digitalized payments landscape, cross-border payments are ripe for transformation. Central banks and financial authorities are now seeking alternatives to a declining number of correspondent banking facilities and some, like the Arab states, are pursuing new regional payments arrangements. CBPN looks into how central banks are planning to streamline costly, opaque, and burdensome processes with new technologies, enhanced efficiencies in the back-end market structure, and regulations on interoperability and ISO 20022 standard implementation. Cyber attacks on the financial sector pose a growing and significant threat to the stability of global financial systems. With several recent high-profile attacks, central banks are increasingly committed to identifying vulnerabilities and mitigating risks to the market infrastructure that they run or oversee. From the TIBER-EU framework’s “ethical hacking” resilience model and the CBUAE’s new cybersecurity department to the recent FSB stocktake of global cybersecurity regulatory and supervisory practices, CBPN reports on the latest efforts to combat and recover from cyber attacks. From the EU’s PSD2 and the UK’s Open Banking Initiative to Singapore’s API Playbook and Japan’s Growth Strategy, Open Banking initiatives are set to revolutionize banking globally. 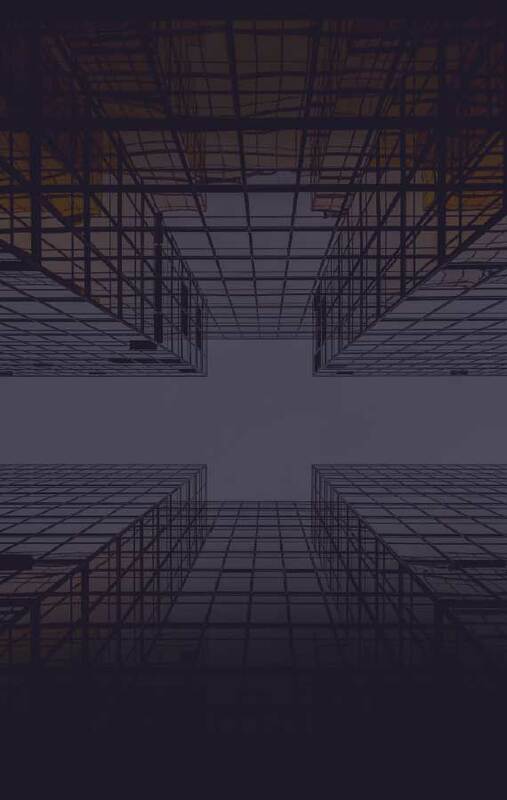 Central banks and governments worldwide are now issuing guidelines and directives to promote Open Banking and a recent international survey found that 87% of banks intend to move forward with Open APIs. CBPN will trace the Open Banking revolution, with the latest news and developments from a central bank perspective. The emergence of cryptoassets such as Bitcoin and Ethereum has sparked widespread interest in digital currencies and their underlying technologies. Central banks and public authorities in multiple jurisdictions – including Canada, China, Russia, and Sweden – are now investigating the potential payment system benefits of issuing central bank digital currencies (CBDC), while also carefully considering the implications for financial stability and monetary policy. CBPN delivers news on the latest research and developments in this exciting space. Innovation in fintech is transforming banking, and with new modalities of payments comes increasing regulatory responsibilities for central banks. Regulatory authorities and central banks are actively seeking new ways to meet public policy objectives and ensure financial stability while also supporting payments innovation. At the same time, regtech solutions are emerging to foster compliance with complex regulatory obligations. CBPN covers the latest transformative central bank initiatives in this space, from regulatory sandboxes and accelerators to new regulatory frameworks and more. Central banks can play a key role in adapting national payment systems to the new possibilities offered by technological innovations such as blockchain and DLT. Many central banks are now studying the benefits of integrating these technologies into the existing financial market infrastructure – “Stella,” the joint ECB and BOJ project, is one prominent example. 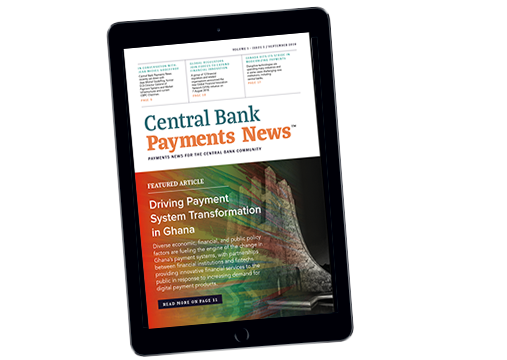 CBPN covers emerging research and activity in this area and reports on how new technologies can potentially transform central bank payments, clearing, and settlement. Financial inclusion is increasing globally: 69% of adults worldwide now have a transaction account, up from 62% in 2014 and 51% in 2011. However, 1.7 billion remain unbanked. Central banks and authorities play an essential role in furthering the growth of global financial inclusion now and into the future. CBPN looks at how central banks are fostering inclusive growth by promoting efficient, accessible, and sound retail payment systems and services, underpinned by robust regulatory and supervisory frameworks that protect consumers and promote innovation. In efforts to modernize legacy payments infrastructure, central banks in a number of jurisdictions have been driving the adoption of instant payment schemes. These ISO 20022-enabled initiatives have effectively transformed the global payments ecosystem and are opening up new opportunities for global harmonization and interoperability. Global alignment and convergence is now possible, whilst allowing for local specificities in system implementation and design. CBPN will closely monitor developments in this rapidly developing space.